Florence I. Lappin of Alamo Township passed away Saturday, July 24, 2010 in Alamo. Mrs. Lappin was born August 19, 1914 in Cheshire Township, Allegan Co. to John and Bertha (Ketchum) Black. Florence was busy on the farm, was affiliated with the Alamo Congregational Church and was devoted to her family. She was the founder of the Northwest Alamo 4-H club and was named Homemaker of the Year by the Kalamazoo County Farm Bureau. On October 12, 1932 in Otsego, she married Willis Lappin, who preceded her in death in 2000. She was also preceded in death by her parents, a son-in-law, Leonard Meyers, 2 sisters and 1 brother, Mildred Miller, Martin Black and Lucille Hewitt. Surviving are 2 daughters and 2 sons, Dorla (Jim) Duncan of Alamo, Albert (Alice) Lappin of Florida, Donna (Jack) Heighton of Kalamazoo and Ivan (Jasna) Lappin of Chicago, IL; 17 grandchildren; 28 great grandchildren; 16 great-great grandchildren; 2 brothers and 1 sister, Elmer Black of Kalamazoo; Garland Black of Plainwell, Vera Kershaw of Kalamazoo; many nieces and nephews. Friends may meet with her family 2-4 & 6-8 P.M. Tuesday at the Winkel Funeral Home, Otsego where a funeral service will be held Wednesday at 11:00 A.M., Rev. William Walker officiating. Interment in Alamo Center Cemetery. Memorial contributions may be made to Hospice Care of Southwest Michigan or the Alamo Congregational Church. George L. McKibbin of Alamo Township, Michigan passed away Wednesday, July 21, 2010, in Kalamazoo. Mr. McKibbin was born September 10, 1936, in Kalamazoo to Lyle and Gladys (Null) McKibbin and was a lifelong resident of the area. George served his country in the United States Navy and for many years he was employed as a painter. Survivng are a sister, Rebecca ‘Beckie” (Jesse) Sauceda of Tulare, CA; a brother, James McKibbin of Detroit; several nieces and nephews, including Jackie (Dave) Dutton of Otsego. Preceding him in death were his parents; five sisters, Bonnie Clark, Betty Kenyon, Ida Belle Roberts, Ruth Ann Soloman and Lila DeKilder; and his life companion, Yvonne Jensen. In keeping with his wishes, cremation will take place and no services will be held. Contributions in memory of George may be made to the Arthritis Foundation. 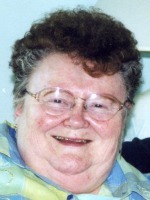 Carol Ann Staley of Otsego, Michigan, passed away Tuesday, July 20, 2010, at her home. Carol was born December 2, 1953, in Plainwell to Paul Sr. and Maxine (Adams) Staley and was a lifelong resident of the area. She was a graduate of Martin High School and for many years she was employed as a unit clerk with Bronson Methodist Hospital. In her leisure time Carol enjoyed sewing, reading, crocheting and collecting pigs. Surviving are a brother and a sister, Danny (Nancy) Staley of Otsego and Linda (Jeff) Smith of Allegan; a sister-in-law, Sally Staley of Idlewild; many nieces and nephews. She was preceded in death by her parents and by two brothers, Paul Staley, Jr. and Dale Staley. Friends may meet with her family from 2 to 4 and 6 to 8 P.M. today at the Winkel Funeral Home, Otsego where funeral services will be held at 10:30 A.M. Friday, with Carol’s nephew, Pastor Kevin Guetschow officiating. Burial will follow at Mount Ever-Rest Memorial Park, Kalamazoo. Contributions in memory of Carol may be made to Wings of Hope Hospice. Gary D. Groen of Otsego, Michigan, passed away Monday, July 19, 2010, at his home with his family by his side. Gary was born August 18, 1944, in Plainwell, the son of Neil and Wilma (Kindal) Groen. He was a member of the USTA, the Michigan Harness Horseman’s Association and was very involved with horses his entire life. For many years he operated Gary Groen’s Racing Stable and had worked at Plainwell Paper Company and Valley Metal. His life was racing horses throughout the Midwest. Surviving are his companion of many years, Laura M. Surprise; children, Lon (Patty) Todd of Allegan, Leo (Kelli) Moyer of Gobles, Ray (Cathie) Moyer of Hopkins, Teresa (Mike) Botma of Pierson, Brian (Jill) Moyer of Sears and Charles Groen of Parchment; a daughter-in-law, Dora Todd (and Brian) of Allegan; 17 grandchildren; 4 great-grandchildren; sisters, Beverly (David), Mary Lou (Burt), Peg and Diane (Paul); sister-in-law, Joan; brothers-in-law, Richard and Ron many nieces and nephews. He was preceded in death by his parents; a son, Tim; a brother, Charles; 2 sisters, Darlene and Elaine and a brother-in-law Tom. Friends may meet his family from 2 to 4 and 6 to 8 P.M. Friday at the Winkel Funeral Home, Otsego where funeral services will be held at 12:00 Noon Saturday. Burial will follow at Mountain Home Cemetery, Otsego. In lieu of flowers, contributions in memory of Gary may be made to Wings of Hope Hospice – Hospice Home. 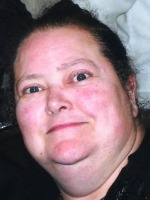 Leora M. Bacon of Plainwell, Michigan, passed away Thursday, July 15, 2010, in Kalamazoo. Mrs. Bacon was born June 17, 1933, in WatsonTownship to Lewis and Bernice (Ritchie) Gehring and was a lifelong resident of the area. For many years she was employed as a practical psychiatric attendant. Leora was a very giving person and spent a lot of time connecting with family on the phone. She loved to take photographs, always remembered birthdays, sent personal cards and was the family historian. Leora worked hard and did a good job raising a large family. On July 27, 1951 in Angola, Indiana, she married Spencer L. Bacon, who died in 1994. Also preceding her in death were a brother, Henry Gehring and a sister, Donnavieve Gehring. Surviving are six children, Joan R. Bacon-Boers of Allegan, Richard (Robin) Bacon of Plainwell, Claudia M. (Ted) Polomcak of Gobles, Glen Bacon of Plainwell, Joyce (Ben Corda) Reed of Gobles and Cathreen G. (John) Lucas of Virginia; 11 grandchildren, Jim, Jessica, Crissa, Jeff, Angela, Stephanie, Will, Jarred, Ted Jr., Brandon and Matt; 7 great-grandchildren; 4 sisters and a brother, Audrey (Warren) McKinstry of Otsego, Helen (Tom) Janes of Plainwell, Linda (Bill) Hinga of Climax and Kenneth (Mary) Gehring of Kalamazoo; many nieces and nephews. The family will receive friends from 4 to 6 P.M. Sunday at the Winkel Funeral Home, Otsego, where funeral services will be held at 1:00 P.M. Monday, Pastor Greg Carlson officiating. Burial will follow at Hillside Cemetery, Plainwell. Contributions in memory of Leora may be made to the American Lung Association. 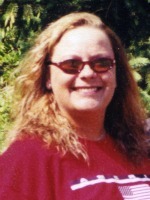 Heide Silvia Kingsbury of Plainwell, Michigan passed away unexpectedly on Sunday, July 11, 2010 at her home. Heide was born August 19, 1971 in Heidelberg, Germany to William and Irmtraud (Heil) Kingsbury. She was a 1989 graduate of Otsego High School and served four years in the United States Army and four years in the Army Reserves. She was employed at Parker-Hannifin Pneumatics in Richland and had worked for Parker-Hannifin for 16 years. Heide was an outgoing, loving, generous and fun person, who loved her family, friends and her pets, especially her cats. In her leisure time she enjoyed shopping, traveling, camping and the out-of-doors. She was a member of the Hickory Corners American Legion. Surviving are her father and mom, Bill and Cathy Kingsbury of Delton; a brother, Michael A. (Monika) Kingsbury of Fort Carson, CO; her boyfriend of over 10 years, Skip Thompson; and “Aunt Honey” Helen Casey of FL. She was preceded in death by her mother. Friends may meet her family from 1 to 3 and 5 to 7 P.M. Thursday at the Winkel Funeral Home, Otsego. Graveside services at Fort Custer National Cemetery will be held at 1:00 P.M. Friday, Pastor Roger Claypool officiating. Contributions in memory of Heide may be made to the Humane Society. Mildred A. Warning of Allegan, Michigan, passed away Wednesday, July 7, 2010, in Alamo. Mildren was born March 10, 1927 in Bloomingdale to Nelson and Hilda (Johnson) Taylor and was a lifelong resident of the area. For many years she was employed with Parker Hannifin Corp. in Otsego. Surviving are her children, Judy, David, Ralph, Norma and Star; 13 grandchildren; 11 great-grandchildren. Friends may meet the family from 10 to 11 A.M. Sunday at the Winkel Funeral Home, Otsego where services will be held at 11:00 A.M. Cremation will follow. Contributions in memory of Mildred may be made to the American Lung Association. 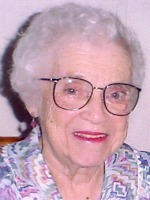 Dorothy B. Kissinger of Otsego, Michigan, passed away Thursday, July 1, 2010 in Kalamazoo. Mrs. Kissinger was born November 16, 1917, in KalamazooTownship to Albert and Leona (Knickerbocker) Brundage and was a lifelong resident of the area. Dorothy was a longtime active member of the First Baptist Church of Otsego and a member of the True Blue Class there. On May 19, 1937, at the First Baptist Church she married Ward G. Kissinger, who died in 1998. Also preceding her in death were her father, Albert Brundage; her mother, Leona (Brundage) Tracy; a son, Gerald L. Kissinger; two brothers and two sisters. Surviving are two daughters, Patricia (Max) Krueger and Kay (Ron) McFanin, both of Otsego; 15 grandchildren; 43 great-grandchildren; 10 great-great- grandchildren; several nieces and nephews. Friends may meet with the family today from 2 to 4 and 6 to 8 P.M. at the Winkel Funeral Home, Otsego. Funeral services will be held at the First Baptist Church of Otsego at 11:00 A.M. Saturday, Pastor Merlyn Jones officiating. Burial will follow at AlamoCenterCemetery. Contributions in memory of Dorothy may be made to the First Baptist Church of Otsego or Rose Arbor Hospice.